“THESE WOMEN ARE JUST LIKE ME, ONLY MORE SO” by Rebecca Goche, Final-year M. Div. “These women are just like everyone else, only more so.” These are the words that Pastor Paul Witmer, Minister of Congregational Care for Women at the Well told a group of us on the “outside” while at a gathering of people who support Iowan women prisoners. I really had no idea what he meant by these words at the time until I went “inside” and experienced the Women at the Well, a United Methodist congregation located with the walls of the Iowa Correctional Institution for Women, in Mitchellville, Iowa. I first heard of Women at the Well when Pastor Lee Schott spoke at the ELCA Southeastern Iowa Synod Assembly about what it is like to pastor a congregation within a prison. I remember her passion and I knew then that I wanted to learn more about ministry with incarcerated persons. I took a group of 10 people from my internship congregation to worship with the Women at the Well congregation. I had no idea of what to expect. I was shocked at how full the Sacred Space (chapel) was with about 70 women worshipping with us that night. I was amazed at what I can only describe as “freedom” which I felt and saw as these incarcerated women worshipped. My brain wondered, “How can this be?” as I had not experienced such a freedom in a congregation outside prison walls. It was my wonderment over this freedom that urged me to go through the prison’s mandatory volunteer training and set up an independent study during J-term 2017 to delve deeper into the ministry of the pastoral staff with the Women at the Well and witness how God is moving in the women within the walls of the prison. Some of my friends and family were concerned for my safety when they found out that I was going into the prison to work with the women. I had more than one person tell me that prison is “full of bad people.” After watching Pastor Schott interact with the women on my first day in prison, I realized that if I let others’ and my own fears get the best of me, I would be closing myself off to the women and to God’s work in them. As I opened myself up to the women and listened to their stories, I found most to be warm and caring despite what they had been through or what they had done. I still find myself wondering how any of them can be warm and caring knowing some of the statistics of the women who are incarcerated in Mitchellville: 60 percent suffer from mental illness, 80 percent have some type of addiction, and 90 percent have experienced some type of abuse whether domestic violence or sexual assault. For most of these women, the deck was stacked against them long before they ever entered prison. I find it deplorable that for many of these women, it seems that prison is Iowa’s mental health system. With Pastor Witmer’s words, “These women are just like everyone else, only more so,” echoing inside my head, I quickly learned that pastoral care in prison is much like what I have experienced outside its walls, only the women’s issues seem to be magnified partly because of where they are. The women want someone who will listen to them and not judge them. They want to be able to share their joys and their sorrows just like the people I visited while on internship. Many of the women feel guilty for not being with their families, especially their children. Often times this guilt manifests itself in depression or acting out in an inappropriate manner. I had the opportunity to accompany Pastor Witmer on a visit with a woman who was on suicide watch. She was alone in a solitary cell wearing what I can only describe as a moving blanket-type gown. There was another offender outside her heavy glass and metal door whose sole job was to watch her in the event she tried to hurt herself. There were no moveable chairs near her cell, so both Pastor Witmer and I kneeled on the cold, concrete floor to talk with the woman through the small, 3 ½ inch by 10-inch tray opening in the cell’s door. It was uncomfortable and not ideal for holding a conversation. The woman was highly agitated and her mind and words jumped from one topic to another. She spoke about her mental illness and the difficulties she has had with various medications not working anymore because she has built up a tolerance to them. She talked about the abuse she has experienced from former partners and how she thought that was normal until she met and married her current partner who will not hit her even though she wants him to do so. The woman told us about having to relinquish her parental rights and had found out a few days earlier that her child had been adopted – the “final straw” that caused her to be transferred to the suicide watch unit. We spent just over 10 minutes with her simply listening. 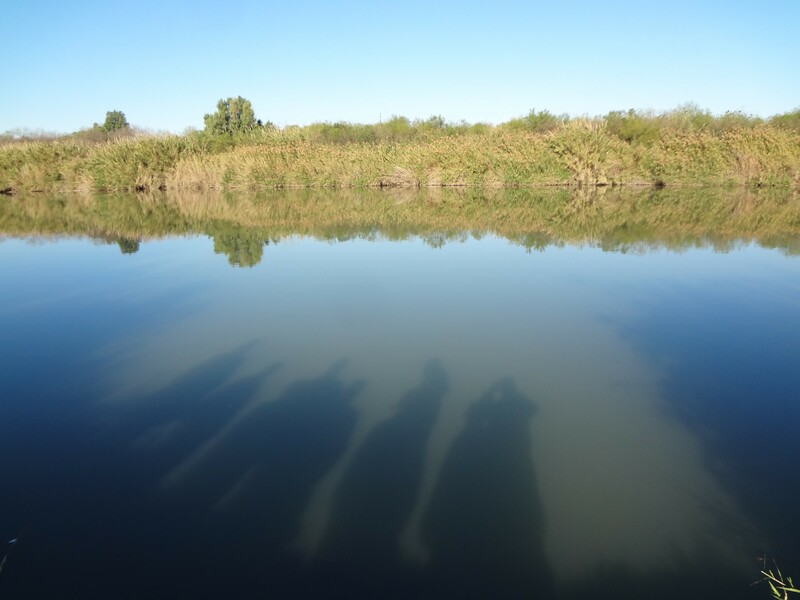 As we were walking back to the Sacred Space from her unit, Pastor Witmer said that he is still trying to figure out how to do better pastoral care with the women, especially in situations like we had just experienced. Women at the Well tries to address some of the women’s needs by offering various pastoral care-type groups. I had an opportunity to sit in on a grief group led by two Methodist pastors/counselors. I listened with an aching heart as a woman in her late twenties shared her story. This woman had been raped at the age of 13 by a relative, became pregnant and gave birth to a baby. Five days later, she watched this same relative smother her child and then place the dead child into a garbage bag to throw away. Her child would have been 16 years old. The woman continues to feel guilty about not stopping her relative from killing her baby and grieves the loss of her child. In an effort to numb her pain, she began using drugs and did whatever she had to do in order to get them. I wanted to give the woman a hug, but touch is not allowed inside the prison. I watched as the other women in the group, who also could not hug the woman, enveloped her with their words of love and comfort. I listened to other women’s stories during the hour-long session. I cannot imagine the grief that many of these women must carry, buried deep inside of them because if they let it show especially in prison, they will be preyed upon by others for being weak. Women at the Well offers these women a safe space to share their grief in a community. Roughly 10 percent of the population or about 70 women are released from the prison every month. Women at the Well offers a voluntary, faith-based re-entry program to the women for one year after they are released from prison. Volunteers from various denominations make up the re-entry teams located in communities around the state. These teams serve as an important resource to help the women move back into society. I had an opportunity to be a part of two sessions of the women’s preparation course for the re-entry program. Thirty-two women attended the four-week course. Many were looking for resources to help them once they got out of prison. Some were looking for a deeper connection with God. Others were looking for help in finding a church home once they are released. I heard much hope in their discussions sprinkled with a heavy dose of their current realities. While participating in worship with the Women at the Well congregation, I found it surreal to look out the windows of the Sacred Space and see the orange glow from the security lights reflecting off of the razor wire atop the fence that surrounds the prison grounds. Once again I was mesmerized by the sense of freedom that I felt within the space, worshiping God with these women who could not be on the other side of that fence until society through the courts said they could, if ever (there are currently 39 women who will never get out and will die in prison). I sensed a palpable hope and a strong desire to serve their neighbors outside the walls of prison as evidenced by the congregation’s support of a different organization/charity each month. These women earn anywhere from $0.27 to just over one dollar an hour at their prison jobs which can be used at the prison commissary to buy phone cards to call loved ones, toiletries, and so on. I was humbled by their acts of stewardship as they eagerly shared their money with neighbors whom they may never meet. Today, prison is big business and many in our society would rather spend money on building more prisons to house more people rather than spending money to help prevent people from being incarcerated or rehabilitate those already incarcerated so that they are not repeat offenders. I was naïve about how racially biased our criminal justice system is, but my eyes have been opened wide after reading The New Jim Crow by Michelle Alexander and seeing the disproportionately high numbers of people of color within the Iowa Correctional Institution for Women when compared to the population for the state as a whole. I find hope in the ELCA’s Social Statement on The Church and Criminal Justice: Hearing the Cries, but I wonder how many of our pastors and congregations actually read it and apply it to their lives. After my experience with Women at the Well within the prison walls, I can no longer close my eyes and block my ears to the cries of those who are behind bars and to those who must forever live with the label of criminal, as less than that of a second-class citizen. These women truly are just like you and me – they are beloved children of God. 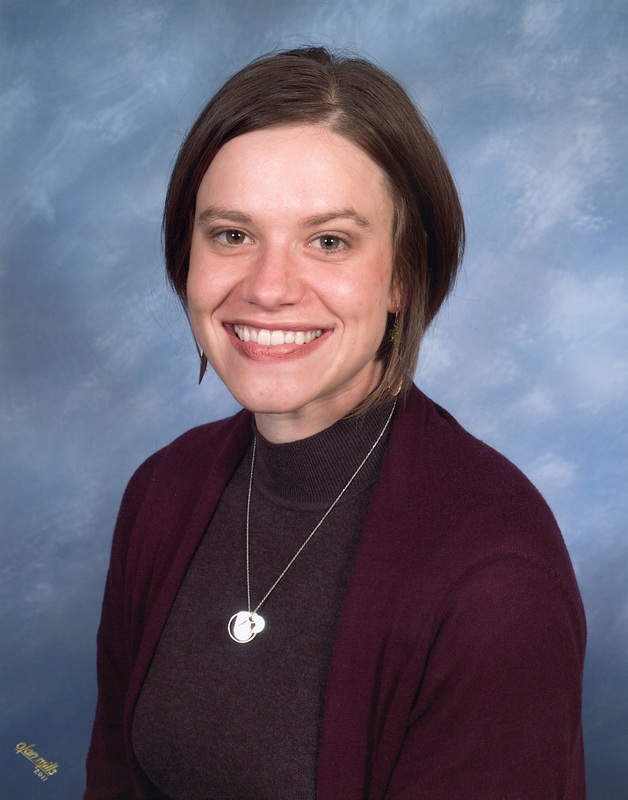 A FRESH TAKE ON CONTEMPORARY CHRISTIAN MUSIC by Amy M. Heinz, Final year M. Div. “I detest contemporary Christian music.” This comment, from one of my lunch partners immediately after I had finished presenting on that very topic at a worship seminar, drew me up short. I thought I had presented the case for utilizing truly new Christian music quite well, but I recognized that mind-set. Two years ago, that had been me. In my opinion, there was so much wrong with contemporary Christian music that I could not have imagined myself even investigating the topic, much less speaking about it. Christian worship draws attention to the work of God in Jesus Christ by calling us out of our separate lives to participate communally in Word and sacrament. Worship is a bold statement that we as Christians place God above all powers of this world, including and especially our own. So, if worship is about the incarnate presence of God in our lives, I feel it should reflect the contexts of our lives…including geographical context, theological and denominational context, historical context, and global context. With this in mind, I wanted to see if it would be possible to honor the past by utilizing a previously established—though by no means binding—Lutheran liturgical format for a service of communion, while inserting current popular contemporary Christian music (CCM) songs in place of those which are in the various collections of hymns and communion settings most often being used. I concentrated only on the songs Lutheran parishioners were sure to have heard on Christian radio stations, and focused on whether or not these songs could be utilized in a Lutheran worship setting containing traditional liturgical elements such as the Kyrie, the Hymn of Praise, and the Great Thanksgiving. The result was that I spent one month listening to and theologically evaluating the top songs from 2014 through 2016 as presented by Billboard Magazine on their website. Although the website categorizes Christian music in several ways, I utilized the category of “Christian Airplay,” as that would reflect the most popular songs on the radio during those years. I also chose to evaluate only the top 20 from each year, as there is some carryover from year to year in songs which ranked lower in the previous year. It wasn’t an easy task. Much of Christian contemporary music is not gender-inclusive, and appears to use scripture either as “proof texting” or as a catchy sound bite. In addition, as Mark Allan Powell points out, it is permeated by “triumphalism, commercialism, [and] individualism…”. Most bewilderingly of all, I found far less mention of Jesus Christ than I had expected in music labeled “Christian.” I discovered a tendency for songs of hope, stick-to-it-tiveness, and militant growth in a general “faith,” all without mentioning the reason for hope or how we are enabled to grow in that faith. In evaluating 59 songs (although I listened to far more than that number and read lyrics from even more)—20 from each of three years with one overlap—I found only 17 which could be useful in an ELCA worship service. Several of those which I deemed “Lutheran” in theology as well as “singable” would need minor rewrites in places. And although Christian contemporary music is a different subgenre from contemporary worship music (commonly referred to as “praise and worship songs), it is what parishioners who are interested in this genre are listening to in their homes, cars, and at work. Agree upon foundational principles of Lutheran worship. Apply a set of questions to a specific song in order to determine its textual and musical characteristics. The purpose of this step is only to gather information, not to make judgements. Discern the song’s suitability for use in worship. Collins and Weidler rightly emphasize the importance of correct performance practice which facilitates learning and singing CCM. This is an issue of great importance that needs to be fully addressed when considering adding this genre to worship rotation. As someone with experience in both “contemporary” and “traditional” performance practice, I will point out that there is a big difference between accompanying worship out of a typical hymnal such as Evangelical Lutheran Worship and deciphering the charts, lead sheets, verses, choruses, and bridges of CCM. In my opinion, there is no such thing as “contemporary worship” as we tend to define it—worship utilizing musical instruments other than organ, and songs which have a more upbeat tempo and/or a back beat. Indeed, in my home congregation, contemporary worship for years was defined as the Saturday night service which was exactly like the Sunday morning service but accompanied on a keyboard instead of the organ! Contemporary worship is just…worship. I cannot overstate the importance of acknowledging this fact. Discerning the music used in our worship of God may need differing processes depending upon when the music has been written or where it has originated, but the criteria are still the same. Does the music we choose lift up the gospel message for all? Does it point to Christ? Is it singable within one or two iterations of the tune? Does the music address the culture, context, history, and personality of the particular congregation? Does it remind us that we are part of a global church and one body in Christ? These are questions which should be asked of all music used in worship, whether one toils over spreadsheets of the most popular CCM songs or chooses hymns based on the topical suggestions in the back of a hymnal. It is extremely important to note that CCM is not a magic bullet that will “bring the young people back to church,” nor is it the only element of import in worship (that would be Christ and his real presence in Word and sacrament!). If congregation members are not inclined to listen to, and appreciate, CCM then it may not be the appropriate context for going “all in” on worship which features that genre of music. People respond to almost all types of music when performed to promote assembly participation. When worshippers feel confident in their musical participation (regardless of natural musical talent or familiarity with a particular genre) and the music reinforces the proclamation of the Word, then Martin Luther’s stance on worship is upheld: “We can spare everything except the Word.” In the end, it is our enthusiasm for being brought together as a community of faith, our joy and sorrow expressed in honest ways through words and songs, our ears and hearts opened to the Word, our partaking of the sacraments, and our deep growth in faith and relationship through the work of the Holy Spirit that produces lively and enthusiastic worship. Mark Allan Powell, “Jesus Climbs the Charts: The Business of Contemporary Christian Music,” The Christian Century 119, no. 26 (December 18, 2002): 26. Paul Westermeyer, Paul Bosch, and Marianne Sawicki, What is “Contemporary” Worship?, vol. 2, Open Questions in Worship (Minneapolis: Augsburg Fortress, 1995), 11. Mark Pierson, The Art of Curating Worship: Reshaping the Role of Worship Leader (Minneapolis: Sparkhouse, 2010), 72. Gordon Lathrop, Holy Things: A Liturgical Theology (Minneapolis: Fortress Press, 1993), 87. Dori Erwin Collins and Scott C. Weidler, Sound Decisions: Evaluating Contemporary Music for Lutheran Worship (Minneapolis: Augsburg Fortress, 1997), 6. Ulrich S. Leupold, ed., Luther’s Works: Liturgy and Hymns, American Edition, vol.53 (Philadelphia: Fortress Press, 1965), 14. 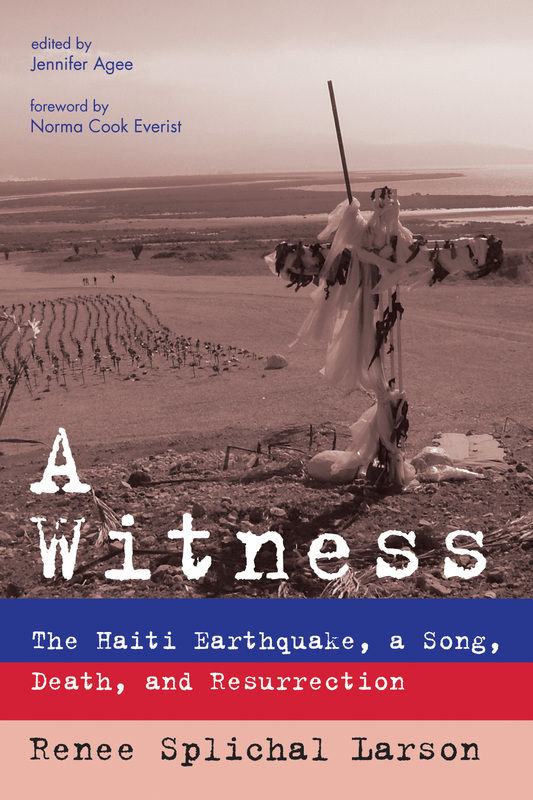 Renee Splichal Larson, A Witness: The Haiti Earthquake, A Song, Death, and Resurrection (Eugene. OR: Resource Publications, 2016), 264 pp. This book could have been titled so many different ways: A Love Story; Tragedy in Haiti; Loss and Grief. But I think A Witness is just right. Renee Splichal Larson is a participant witness to the 2010 earthquake in Haiti that killed her husband, Ben, and left her a widow at age 27. A Witness is a very personal and also a very global book. In telling her painful yet hopeful story, Renee invites us to enter, from wherever we are; to see, to feel, to question, and to understand more deeply the power, grace, and love of God. This is a communal story. It is about accompaniment and relationship, about Ben, Renee, and Jon, all Wartburg Seminary seniors, who went to Haiti to be with the people there, and who became part of the shaking of the earth with them. This book is about a few minutes in history and about the years that surround them. It is not a short book, but you won’t want to put it down. The book is intimate, deep, and profound, but not heavy. We laugh as well as cry. We see people who go to amazing lengths to care for each other. Care across boundaries! As the book begins, we meet these three young people and enjoy setting out on life’s journey with each of them. Ben and Jon are cousins who are closer than brothers. We hear Renee’s own story about her early years. I have witnessed in Renee an incredible woman. You will discover this, too, as you come to know her and see how she views life and the people whom she comes to cherish. We see Christ in people, because Renee is a witness to Christ in their lives and to Christ at work in the midst of tragedy, care, connection, and the renewal of resurrection. The story’s focus is on one very gifted young man who died too soon. But the story is also about two people, and three, and about the families of Renee, Ben, and Jon. This is a book about family. Yet we also meet strangers, and we learn from them, and learn what it means to be served by them as much as serving among them. We see, really see, the people of Haiti: Bellinda, Livenson, Kez, Louis, Mytch, and more. Soon we are a witness to hundreds and yes, thousands. This story is about the global church. It is about faith and what it means to be church together in life and death, and in new life. We see the Haitian people, who have suffered so much and continue to care for the outsider. We hear their faith and song in the midst of despair. We see their resilience, but dare not romanticize the complex issues. In our own ignorance and arrogance, we who live in affluent countries benefit from countries that remain poor and dependent. These are the causes and ramifications of poverty. The call of A Witness is to community and justice. Poetry from fellow witnesses (friends and classmates) comforts us as well as the author as we walk and weep with each step from earthquake to resting place. This is a book for all who have suffered trauma, sudden tragedy, or the sadness of long suffering. Renee is a theologian—of the best sort—who lives life fully, and is forever asking questions. (So the title could also have been A Theology.) Her reflections are existential and challenging, and she invites her readers to reflect theologically with her. She also knows that the resurrection of Jesus Christ is true, and that new life in Christ is real. But this new life comes only after lamentation and loneliness and deep grief. Together with Renee, we become witnesses to the importance of pastoral care and of a worshipping and caring community. Friends carry a body out of Haiti, and all are carried by the body of Christ. This is a theology of grace, of the cross and resurrection, of Christ with people in their dying as much as with the living. This power of God, God’s own commitment to us, empowers us for commitments to all of God’s global family. There are more ministry opportunities for this now-ordained pastor and for us all. Renee goes where God leads, including to the people of Heart River, North Dakota. I believe this work is and will be a blessing to all who read it, to all for whom she is a witness to Christ and to his cross and resurrection. is a pastor in the Evangelical Lutheran Church in America. Born and raised in North Dakota, Renee is a graduate of Concordia College, Moorhead, Minnesota, and Wartburg Theological Seminary, Dubuque, Iowa. She is married to Jonathan Splichal Larson, who is also a pastor in the ELCA, and their son is named Gabriel. Renee and Jon are both survivors of the 2010 Haiti earthquake. A Witness is Renee’s first book. This poem was written while participating in a cross-cultural course to Iceland and Norway with Wartburg Theological Seminary in January 2016. His arms are open, embracing all who enter. And drawing me into wonder about my own. And the pastor hopes for twenty-eight more. Or do people belong to homes? And the pilgrimage is not without pain. The sunset lasts for hours. And I welcome the cold on my cheeks.